This sign can be seen at most vending machines. 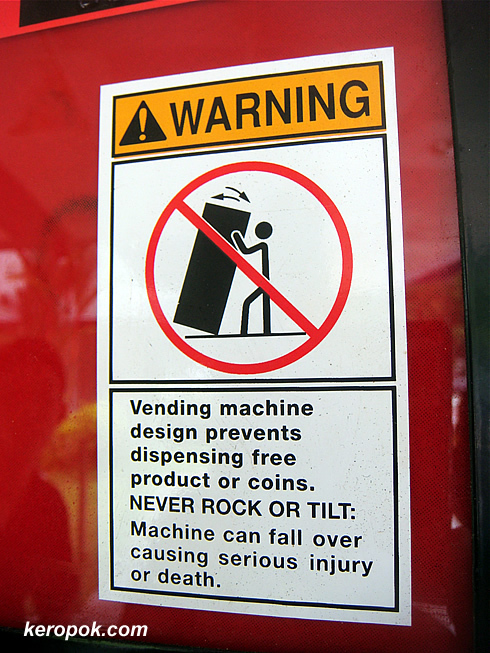 I wonder they put this message because someone had tried to tilt or rock the machines to get the coins in it. It's so heavy, is it even possible to tilt it? They sell everything in vending machines these days. Just last week, I read that they sell bread (Gardenia bread loaves) in vending machines now! When was the last time you bought something from any vending machine? What did u buy? I bought a drink the other week but I've never seen bread in them before!